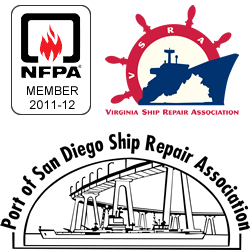 The Source has been a Certified Service Agency with Gaylord for more than 15 years. We are a full service company with the ability to support all your Gaylord System needs from the thermostatic fail-safe switches, adjusting temperature of the washdown cabinets to leaky piping and rebuilding the damper controls. The Source has extensive knowledge in APC and can facilitate interface with your existing ventilation systems right down to the motor controller. Coupled with years of “hands on” experience repairing, designing and hydrostatic testing of the Type A, B, BB and new installed WHDR system The Source is one-stop shopping for all your fire prevention requirements. With three locations we are able to bring to you quality OEM 009-90 technical assistance when you need it! Call today for your FREE inspection. Do your grinders meet Navy SOH requirements? The Source has IN STOCK custom “silver savers”, limit switch activated P/N: JAL-SS6.5\LS. Call any of our 3 locations for assistance. Champion Industries provides superior products for shipboard galleys. Champion’s USN72 is a fully-automatic shipboard dishwashing machine constructed entirely of heavy-gauge stainless steel. 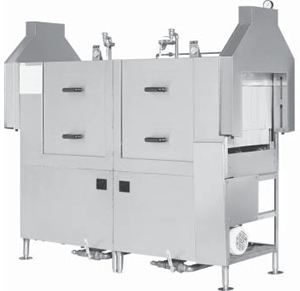 The stainless steel angle frame provides a rigid, heavy-duty support for internal components, tank and hood, enhancing the reliability and extending the service life of the machine. The tank and hood are of water-tight, single-unit construction. The leak-proof internally-mounted front door permits easy access to the tank for cleaning. 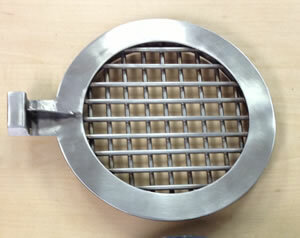 Perforated stainless steel refuse screens and pump intake strainer are easy to remove and clean. Modular construction enables easy hatch entry for installation. Easy to remove one piece doors that need only 3″ clearance. Large door openings and interchangeable upper and lower spray arms with easily removable end caps. Most components are front accessible. Ideal water pressure and volume for maximum wash and rinse coverage. Durable, high quality construction designed for long life and reduced maintenance in shipboard conditions. Operates without water splashout or rack slippage at 15° list.